Are you trying to find reliable pet transportation? 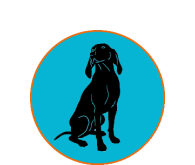 We offer personalized pet transport services – across town or cross-country. Transport can be a traumatic experience for animals unaccustomed to travel. We do everything possible to make the sojourn as comfortable as possible for cherished pets. We are available for transport anywhere within the continental United States, either by air (when applicable) or vehicle. Do You have a new Puppy? New owners prefer our in-cabin puppy transport over having them shipped in the cargo hold. For those pups too large to meet airline standards, we offer the option of driving them cross-country, curled up with Southern Belle Melanie whose maternal instincts are wonderful, unless owners prefer they be crated. For added security and peace of mind, we use GPS units on every pet we transport, from journey’s start to finish.